On Monday the BFS MS Girls Basketball Team defeated Steiner 33-4 in the lower gym. The team continued their win streak, winning their second game in the new year. It was a real team effort. Power forward Libby S. was limited in her minutes to due to a weekend injury. Nora S. came off the bench to spell Libby, followed by Kaley B. The girls got off to an early lead with guard Devon O. carrying the bulk of scoring. The ball moved well and good shots were being taken allowing for BFS to take a 9 to 2 first quarter lead. Devon felt rusty in the first quarter and wanted to step up her game during the 2nd quarter, which she did but points also came from the center spot with Salma M. & Hannah S. rebounding and getting put back baskets. The girls have all showed improvement from practice to game, Willa S. had a masterful game breaking down the defense with a couple very impressive cross overs, and feeding the ball inside and to the wings. Jessie R. & Olafunke S. played the small forward spot quite well, protecting the baseline, rebounding the ball. Guard Ruthie L. also played well. The girls are gelling as they improved their league record to 2-0. Blue Pride!! The BFS MS Boys Basketball Team defeated Steiner 69-17 in the lower gym. The win was their second one coming out of the winter break. As has been the case all season it was a total team effort in the victory. The team was led offensively by eighth grader Kwesi C-S with 14 points, seventh Ty S. with 13 points, and eighth grader Luca J. who had 10 points. In total twelve of the fourteen BFS players that entered the game came away with points during the game. Kwesi also had his fifth straight game with double digit rebounds, totaling 15 board, for his third double-double of the season. The team is now 2-0 in league play. Blue Pride!! On Wednesday the BFS Girls Varsity Basketball Team defeated BWL 34-31 in a thrilling game at Basketball City. Coming off an exciting but tough 34-29 loss this past Friday versus Calhoun on the road the team was looking to get back in the win column. The team once again got off to a slow start even though they outplayed their opponent. BFS took many more shots to start the game and missed some easy opportunities from close range. The teams defense which has been really good all season once again held up and BFS found themselves down by only a point at 3-2 after one quarter of play. The team played a little better offensively during the second quarter of action as senior Julia B. scored her first points of the game with two baskets. Junior guard Sierra V. knocked down a nice jumper and sophomore Silvely A. also added a basket, while junior Abby M. made a free throw during the quarter. At the half BFS found themselves up 11-9. It was really Sierra’s defense that kep BFS in the game early. We weren’t sure if she was going to make the game as she had a big midterm the next day to study for. The team tried to figure things out at halftime and talked about limiting some of the careless mistakes/turnovers. The third quarter was back and forth. BFS started strong as sophomore guard Ivy L. who was unhappy with her recent shooting performances knocked down two quick jumpers. The first one she had her foot on the line but the second once was a three pointer. She tallied 7 points in the quarter. Julia B. also added two more baskets as she cleaned things up on the offensive boards. BWL also got their groove going during the third quarter as their #23 was all over the place on both ends of the court bringing her size and athleticism to the game. BWL’s #13 had 11 points in the quarter after only scoring two the previous two quarters. BWL’s 15 third quarter points gave them a 24-22 lead going into the final quarter of play. BFS was down 24-18 and were able to fight back and grab back some of the momentum before heading int other final quarter. Julia B. has been playing with foul trouble the last two games so BFS had to be careful. BFS made some minor adjustments and the five players on the court started to find their team ryhthm. It was back and forth early but then BWL took a lead and then BFS followed up by taking the lead back. Things looked good for BFS but BWL made one last run as they got within a point in the final minute. The final minute was a blur as both teams used their timeouts, ran players, and coached the game down to the wire even making some offensive and defensive changes. The last couple tweaks BFS made on the defensive end (Caroline S. guarded #23) and the plays they called down the stretch to inbound the balls helped them secure the chance for victory. But it all came down to sophomore Silvely A. who calmly stepped to the foul line with 11 seconds to play and a one point lead for BFS. She knocked down the first free throw to give BFS the two point lead and then calmly drained the second one to give BFS the three point lead. BWL was out of timeouts and had to go the length of the court to try to knock down a three pointer and send the game into overtime. They pushed the ball down the left side of the court but rushed the final show and came up short but since they took it so early they were able to secure the rebound and get a pretty good lock at a two pointer which also missed, but they got one more rebound and almost got off another three point attempt before time expired. BFS exhaled after playing it second thrilling game in as many games. The teams lined up and shook hands. Everyone contributed to the victory. Julia B. finished with 14 points, Silvely had eight points, Ivy had 7 points, Sierra and Maret S-M had two points each, and Abby finished with a point. 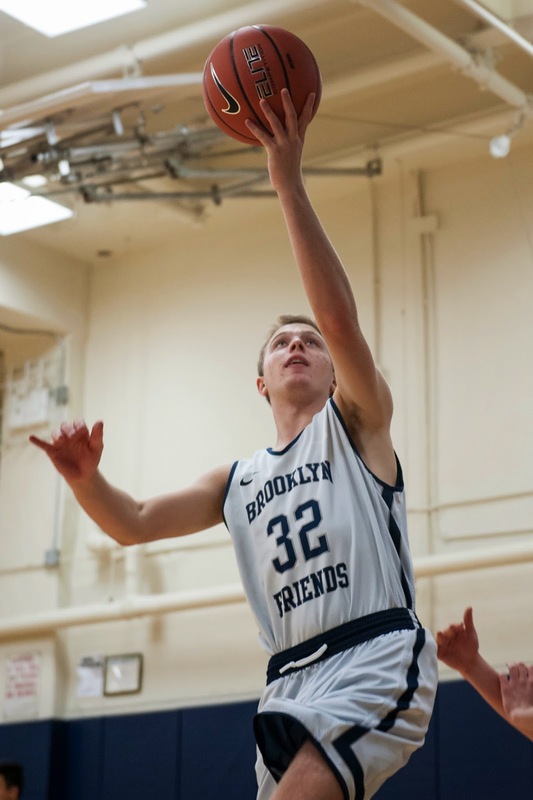 BFS maintained its undefeated record in ISAL League play as they are now 7-0 and 8-5 overall. 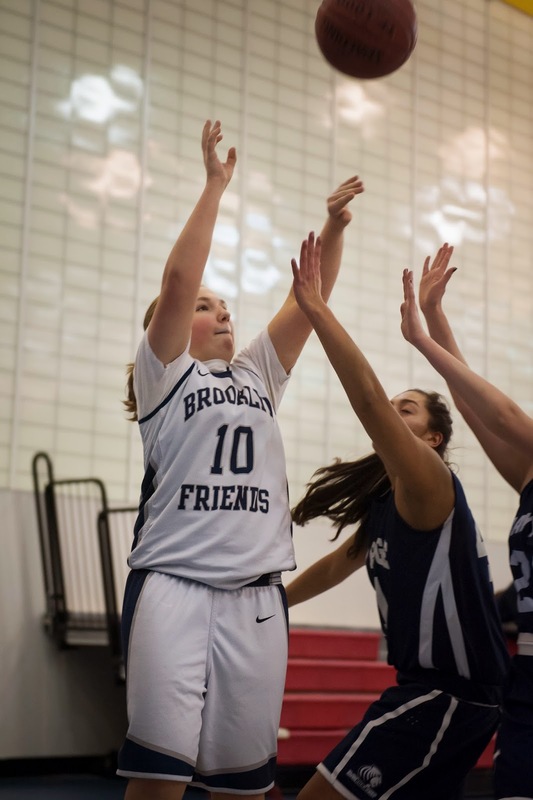 Practice Friday and Tuesday with their next league game coming on Wednesday in Bay Ridge. Blue Pride!! On Thursday the BFS MS Girls Basketball Team defeated Dwight 30-15 in the lower gym. The team started slow but once they got going they managed to take a 12-2 first quarter lead. The opponent continued to battle as we became stagnant in the second quarter. Our opponent provided tough pressing defense throughout the game. We were unable to score until the end of the second quarter when we knocked down a free throw. BFS found themselves up 13-6 at the half. The team opened things up in the third quarter with a late run to take a 23-10 lead into the final quarter of play. Dwight continued to play and got within seven points but BFS held them off. Eighth grader Devon O. carried the offensive load. She scored inside and out, making lay ups as well as jumpers. She also orchestrated the fourth quarter run that allowed us to walk away with the victory. The team has now won three in a row. Blue Pride!! The BFS MS Boys Basketball Team defeated Dwight 31-29 in an exciting game in the lower gym in front of our home crowd. The low scoring affair was the Panthers second lowest offensive output of the season but resulted in their fifth straight win. The teams record is now 6-2 overall and 3-0 in ISAL league play. The team was lead by Ty S. (7th) who scored a team high 11 points. Luca J. (8th) once again dominated the boards as he pulled down 14 rebounds. Kwesi C-S (8th) had 10 rebounds before fouling out in the third quarter. Max (7th) added 8 boards and Ty had a season high 7 rebounds. The amazing two point win was not secured until the final minute of the game. The Panthers trailed 24-20 going into the final quarter of play. They scraped and played tough defense to draw to within two points at 29-27 with just :34 seconds remaining. On a Dwight in bound play the Panthers applied pressure and recovered a steal, Ty brought the ball up the court, drove down the left side of the lane and pulled up for a baby jumper. The shot was good, tie game. The Dwight head coach called a time out to set up an inbound play. Out of the time out the Panthers applied immense pressure and would not allow a clean inbound pass. The Dwight inbounder forced the ball into the point guard, but it was tipped and recovered by BFS’ Miles J-P (8th). Miles drove the left side of the court and put up a long lay-up attempt. The shot was off the back-board and good, giving the Panthers the unlikely, exciting and dramatic win. The win avenges the team’s worst defeat of last season against Dwight. As for Miles the basket was his only two points of the game. But they came at the most opportune time… A hero is born!. Blue Pride!! 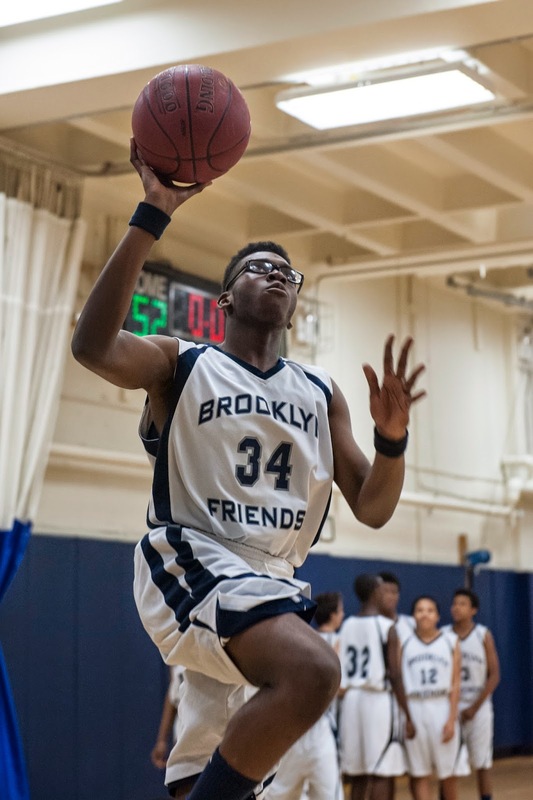 On Friday the BFS Boys Varsity Basketball Team defeated Garden 58-15 at St. Francis College. The Panthers led wire to wire with a full team effort that included two double digit scorers coming off the bench. The leading scorers were junior Tyler V. with 14 points and seniors Lucas M. and Adam W. with 11 and 10 points respectfully. Adam also grabbed 9 rebounds. Sophomore guard Brendan G. scored 9 points, while junior Chris B. scored 6 points. BFS is now 10-5 overall with a 8-1 ISAL league record. The BFS Boys JV Basketball Team defeated Rudolph Steiner 69-57 in the lower gym. The game that was very competitive early and throughout the entire game. Both teams exchanged baskets until the Panthers finally pulled away in the final 2 minutes in the 4th quarter. With the win the team improved to 11-4 overall and remained undefeated in ISAL League play. Miles B. finished with a game high 34 points, Noah W. chipped in with 11 points, Ernest M., Maalik D., and Isaac H. each finished with 8 points. Blue Pride! !